Most fabrics are made by weaving or knitting yarns together. Non-woven fabrics are made by bonding or felting fibres together. A fabric's appearance, properties and end-use can be affected by the way it was constructed. A woven fabric consists of two sets of interlacing yarns which lie perpendicular to one another. The yarns can be interlaced in many different ways to produce numerous weave designs. Even with a cursory glance, an untrained eye can see a visual difference in weave designs. Much less apparent is that weaves have different mechanical properties. When choosing a weave design for a particular product, one must consider the aesthetic appearance of the weave as well as the desired properties. There are three basic weaves from which all other weaves are derived—a plain, twill and satin. In plain-weave the warp and weft are aligned so that they form a simple criss-cross pattern. It is strong and hardwearing. A satin weave is notable for its smooth surface created by the relatively long warp yarn floats. The warp yarns in a 5-harness satin float over 4 filling yarns. Weft-knitted fabrics are made by hand or machine. Weft-knitted fabric is made by looping together long lengths of yarn. This makes the fabric stretchy and comfortable. The yarn runs in rows across the fabric. If a stitch is dropped it will ladder down the length of the fabric. Warp-knitted fabric is made by machine and is used for swimwear. Warp-knitted fabric is made by machine. The loops interlock vertically along the length of the fabric. Warp knits are slightly stretchy and do not ladder. Bonded-fibre fabrics are made from webs of fibres bonded together with heat or adhesives. They are cheap to produce, but not as strong as woven or knitted fabrics. Bonded-fibre fabrics are mainly used for interlining. They are easy to sew, crease-resistant, do not fray and are stable to washing and dry-cleaning. Wool felt is a non-woven fabric made from fibres matted together using moisture, heat and pressure. Felt has no strength, drape or elasticity but is warm and does not fray. Wool felt is expensive. Unidirectional Basalt fabric, 200 grams/sq. meter 5.9 oz./sq. yard), width 60 cm. (23.6"). Made with 13 micron roving. Roll length 50 meters. Black Unidirectional fabric, 200 grams/sq. meter (5.9 oz./sq. yard), width 50 cm. (19.7"). Made with Black 13 micron roving. Roll length 50 meters. Unidirectional Basalt fabric, 300 grams/sq. meter (8.8 oz./sq. yard), width 60 cm. (23.6"). Made with 13 micron roving. Roll length 50 meters. Bi-Axial Basalt Fabric, weight 450 grams/sq. meter (13.2 oz./sq. yard), width 127 cm. (50") Fiber orientation +45 degrees, - 45 degress. Made with 13 micron roving. Roll length 50 meters. Bi-Axial Basalt Fabric, weight 450 grams/sq. meter (13.2 oz./sq. yard), width 127 cm. (50") Fiber orientation 0 degrees, 90 degress. Made with 13 micron roving. Roll length 50 meters. Bi-Axial Fabric, weight 650 grams/sq. meter (19 oz./sq. yard), width 31.8 cm. (12.5") Fiber orientation 0 degree, 90 degree. Made with 13 micron roving. Roll length 50 meters. Bi-Axial Basalt Fabric, weight 650 grams/sq. meter (19 oz./sq. yard), width 127 cm. (50") Fiber orientation 0degree, 90 degree. Made with 13 micron roving. Roll length 50 meters. Tri-Axial Basalt Fabric, weight 980 grams/sq. meter (28.7 oz./sq. yard), width 32 cm. (12.6") Fiber orientation 0 degree, +45 degrees, - 45 degress. Made with 13 micron roving. Roll length 50 meters. Quad-Axial Basalt Fabric, weight 680 grams/sq. meter (19.9 oz./sq. yard), width 127 cm. (50") Fiber orientation 0 degree, 90 degree +45 degree -45 degree. Made with 13 micron roving. Roll length 50 meters. Plain weave Basalt 15x15 fabric, weight 108 grams/sq. meter (3.2 oz./sq. yard) width 50 cm. (19.4 inches) Made with 9 micron fibers. Roll length 50 meters. Plain weave Basalt fabric, weight 165 grams/sq. meter (1.9 oz./sq. yard) width 130 cm. (51 inches) Made with 9 micron fibers. Roll length 25 meters. Plain weave Basalt fabric, weight 180 grams/sq. meter (5.3 oz./sq. yard) width 100 cm. (39.4 inches) Made with 13 micron fibers. Roll length 50 meters. Plain weave Basalt fabric, weight 200 grams/sq. meter (5.9 oz./sq. yard) width 100 cm. (39.4 inches) Made with 9 micron fibers. Roll length 100 meters. Plain weave Basalt 7.2x7.2 fabric, weight 220 grams/sq. meter (6.45 oz./sq. yard) width 138 cm. (54.3 inches) Made with 19 micron fibers. Roll length 50 meters. Plain weave Basalt 5x5 fabric, weight 325 grams/sq. meter (9.52 oz./sq. yard) width 100 cm. (39.4inches) Made with 11 micron fibers. Roll length 50 meters. Plain weave Basalt 5x3.5 fabric, weight 400 grams/sq. meter (11.7 oz./sq. yard) width 127 cm. (50 inches) Made with 11 micron fibers. Roll length 50 meters. Plain weave Basalt 5x3 fabric, weight 650 grams/sq. meter (19 oz./sq. yard) width 100 cm. (39.4 inches) Made with 13 micron fibers. Roll length 50 meters. 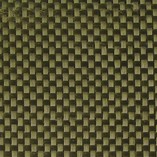 Twill weave Basalt 8x7 fabric, weight 200 grams/sq. meter (5.9 oz./sq. yard) width 127 cm. ( 50 inches) Made with 9 micron fibers. Roll length 50 meters. Twill weave Basalt 5x5 fabric, weight 350 grams/sq. meter (10.25 oz./sq. yard) width 100 cm. ( 39.4 inches) Made with 13 micron fibers. Roll length 50 meters. Twill weave Basalt 6x6 fabric, weight 900 grams/sq. meter (26.4 oz./sq. yard) width 100 cm. ( 39.4 inches) Made with 13 micron fibers. Roll length 50 meters. Satin weave Basalt fabric, weight 220 grams/sq. meter (6.45 oz./sq. yard) width 100 cm. ( 39.4 inches) Made with 9 micron fibers. Roll length 50 meters. Satin weave fabric, weight 300 grams/sq. meter (8.8 oz./sq. yard) width 127 cm. ( 50 inches) Made with 9 micron fibers. Roll length 50 meters. Aluminum Coated one side Basalt Plain Weave Fabric., Weight 200 grams/sq. meter (5.9 oz./sq. yard) width 100 cm. (39.4inches) Made with 9 micron fibers. Roll length 25 meters. Weight does not include aluminum film. Aluminum Coated one side Basalt Plain Weave Fabric. 7.2x7.2 fends/cm., weight 220 grams/sq. meter (6.45 oz./sq. yard) width 138 cm. (54.3 inches) Made with 19 micron fibers. Roll length 25 meters. Weight does not include aluminum film. Aluminum Coated one side Basalt Plain Weave Fabric. Weight 220 grams/sq. meter (6.45 oz./sq. yard) width 138 cm. (54.3 inches) Made with 19 micron fibers. Roll length 25 meters. Weight does not include aluminum film. Aluminum Coated one side Basalt Plain Weave Fabric. Weight 650 grams/sq. meter (19 oz./sq. yard) width 100 cm. (39.4 inches) Made with 13 micron fibers. Roll length 25 meters. Weight does not include aluminum film. Polyurethane Coated one side Basalt Twill Weave Fabric. Weight 560 grams/sq. meter (16.4 oz./sq. yard) Width 100 cm (39.4") Made with 13 micron filaments. Roll length 25 meters. Weight does not include coating. Basalt Woven Tape Width 25mm. Packed on 100 meter rolls. Basalt Woven Tape Width 50mm. Packed on 100 meter rolls. Basalt Woven Tape Width 75mm. Packed on 100 meter rolls. Basalt Woven Tape Width 100mm. Packed on 100 meter rolls. Basalt Woven Tape Width 135mm. Packed on 100 meter rolls. Basalt Twill Woven Tape, aluminum coated one side Width 50mm. Packed on 7.8 meter rolls (25 feet).